An integral part of the Anjunabeats family, Super8 & Tab first set the trance world ablaze with classic anthems "Helsinki Scorchin" and "First Aid". 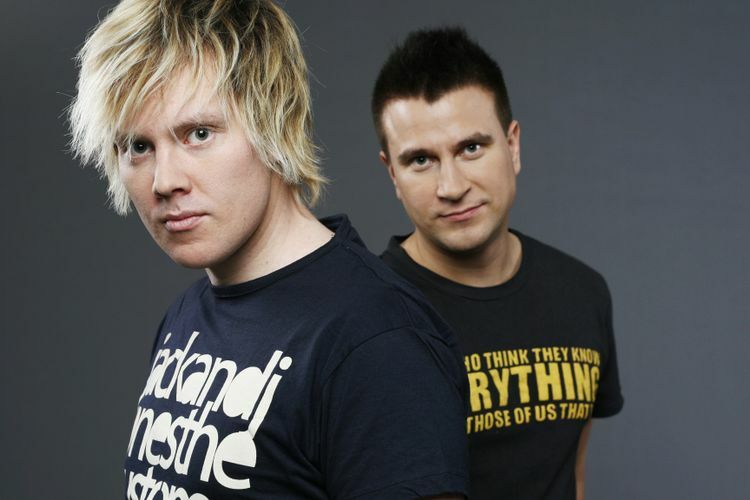 In 2012 the duo made the studio their second home, releasing "Black Is Back", "Awakenings", "Fiesta", "Arc" and remixes for fellow producers Tritonal and Armin van Buuren. They have also brought their electrifying performances to Electric Daisy Carnival Las Vegas, Tomorrowland in Belgium, Global Gathering on top of numerous clubs in Ibiza, Australia, Moldova and the UK. Joining the pair are our friends over at Ultra Music Festival Korea. Bringing along their own brand of electrifying bangers will be electric duo Big Bad Nose, & DJ Koo, the resident at Club Octagon in Seoul, also known as #12 on this years DJ Mag Top 100 Club Poll.